Sol Sheridan : Surf-Boards at Ventura, 1912. 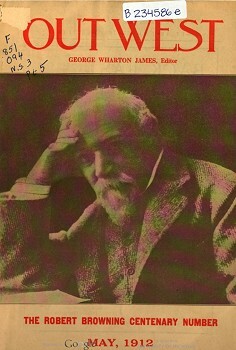 Volume 3 Number 5, May 1912. A glowing account of the attractions by the Secretary of the Chamber of Commerce, it a briefly notes that at Ventura Beach, surf board riding is a very pleasing diversion. VENTURA BY-THE-SEA is an old Mission town that is just beginning to come into its own as a resort city of the higher cIass -with nothing to draw the cheaper excursionists who go to the Beach for a Sunday from the big city and just far enough away from Los Angeles to make it a most desirable place of summer residence for the man of family who wants to get his folks out of the heat for the summer months and into an atmosphere that will come as close to suggesting that of home as the atmosphere of any place other than home will. For this kind of folk, Ventura is an ideal summering place. It is a city of homes, between the mountains and the sea. The blue expanse of the Santa Barbara Channel, where the new war ships test their speed in the smooth water, lies before the town, in plain sight all the time. And beyond the Channel are the blue islands where there are all the fishing possibilities found at Catalina, and comparatively little of the expense in getting the fish that mark the more populous island resort. The Ventura Beach is the best, and by all odds the safest bathing beach along the whole expanse of the California coast. The current from the north tempers the sea water to a grateful coolness; and is yet not strong enough to be felt by the bather. There is never a tide rip at Ventura, and the dangerous undertow is a thing unknown. The beach slopes away at a grade of less than one per cent under the water, and the sand is as smooth and as level, almost, as a floor. There are no rocks in the bathing reaches. Little children, alone, play beside the breakers and paddle in them - and if a child should fall the gentle waves would roll him right in upon the sand. For the more strenuous bather, while there is little element of danger, the breakers roll in more heavily when he goes out to meet them, and surf board riding is a very pleasing diversion. The warm sun affords an ideal temperature for the lazy bather who just wants to put on a bathing suit and loll around on the clean sand. The Ventura Beach is the cleanest in the state, for the rivers that run down to the sea have their mouths closed by sand washing in in the summer time, and there is nothing to foul the water or the sands. Geoff Cater (2017) : Sol Sheridan : Surf-Boards at Ventura, 1912.